Artigo Kayar rubber flooring is achieved by adding fragments of natural coconut fibre to the rubber compound. The technological innovation is in the mixing process, specially engineered by Artigo to obtain a uniquely random distribution of fibres on the surface. Artigo Kayar resilient rubber flooring is a highly versatile solution suitable for Laboratories, Schools / Universities, Libraries / Museums, Offices and Retail Spaces. 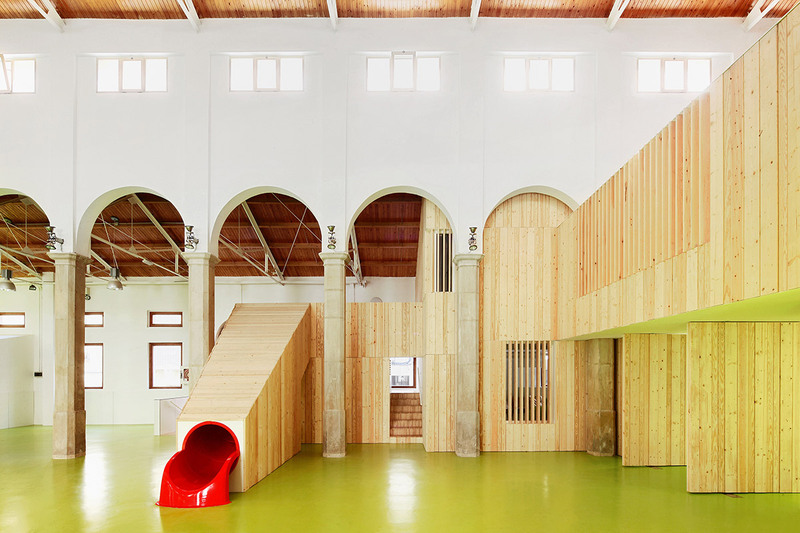 Artigo rubber flooring become a part of history in the city of Alcañiz ( province of Aragon ) where a former market is turned into a multi-use center for children by a clever minimalist project. In Alcañiz the most significant buildings are all facing the Plaza de España. The oldest one is the “Lonja” built as the first marketplace for the village in the 15th Century in gothic style and connected to the Ayuntamiento ( CityCouncil) which is a nice Renaissance building. On the other side of the square, completing the cocktail of styles displayed in this little city in the province of Aragon,is the baroque Church of Santa Maria la Mayor and the early 19th century “Mercado de Abastos” (generalmarket). The renovation has been driven by the need of creating a meeting place and a playground where children between 0 to 11 and their parents can spend some time having fun in full safety. 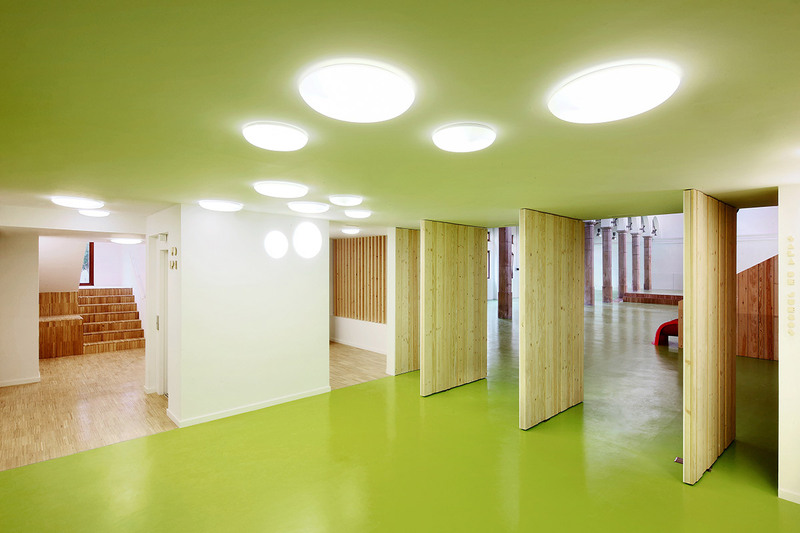 The ground floor has been thought of as an open space that can be used for many activities ranging from birthday parties to playing laboratories, while the secondfloor is divided in several rooms including a “pequeteca” ( Kindergarden ) for kids 3 to 8 years old.All of the furnitures have been specifically designed and built for kids. Kayar, once again has been selected for a very nice project, and once again in the bright K72, the acid green that has almost become our flagship colour.